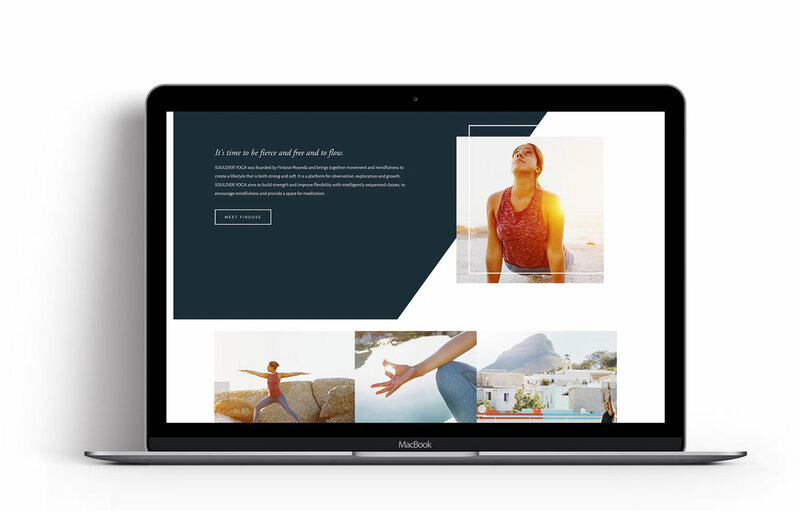 Firdose Moonda, founder of Souldier Yoga, approached Wellness Design Co. to help her clarify her brand message and business offering before we moved forward with her website design. In our first conversation, Firdose mentioned a childhood filled with bedtime stories of Indian folklore and yoga philosophy. We encouraged her to run towards her Indian heritage as the value system to underpin her authentically traditional yoga business. This unique brand truth is reflected in the design choices of her beautiful, functional website.